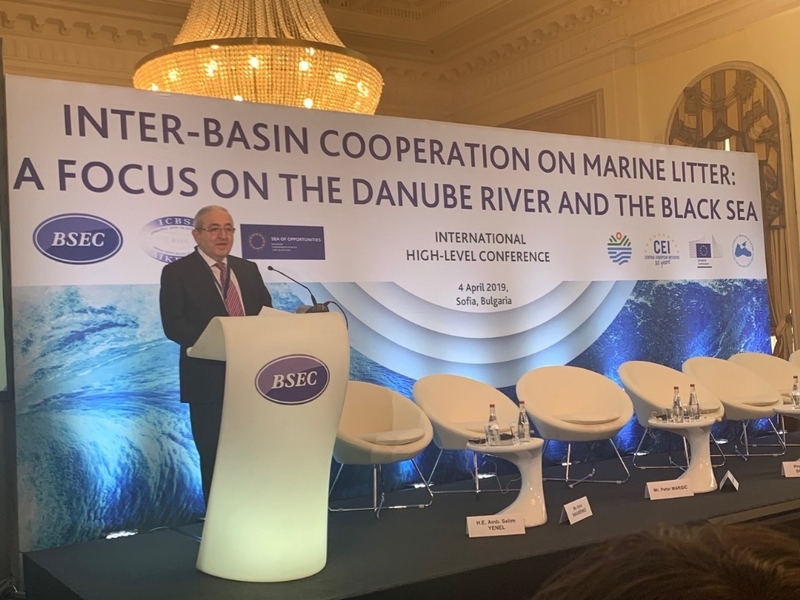 On 4 April 2019 in Sofia was organized the International conference on “Inter-basin Cooperation on Marine Litter: a Focus on the Danube River and the Black Sea”, in which took part Mr. Asaf Hajiyev, PABSEC Secretary General. The Conference was organized in the framework of the Bulgarian BSEC Chairmanship-in-Office by the BSEC and the ICBSS and was supported by the PABSEC, the Central European Initiative Cooperation Fund and the European Commission. The Opening of the Conference was addressed by Mrs. Emilia Kraleva, Deputy Minister of Foreign Affairs of the Republic of Bulgaria, Mr. Neno Dimov, Minister of Environment and Waters of the Republic of Bulgaria, Mr. Michael Christides, Secretary General of the BSEC PERMIS and Mr. Asaf Hajiyev, the PABSEC Secretary General. The keynote speaker was Mr. Bernard Friess, Marine policy and Blue Economy Director of the Directorate General of the European Commission for Maritime Affairs and Fisheries. Presentations were made by the representatives of the Danube Commission, the Baltic Marine Environment Protection Commission, the Union of the Mediterranean in charge of Water and Environment, the Institute of Oceanology of the Bulgarian Academy of Sciences, the Black Sea NGO Network, the Ministry of Environment and Water of the Republic of Bulgaria, the Commission for the Protection of Black Sea Against Pollution, the Facility for Blue Growth in the Black Sea, etc. 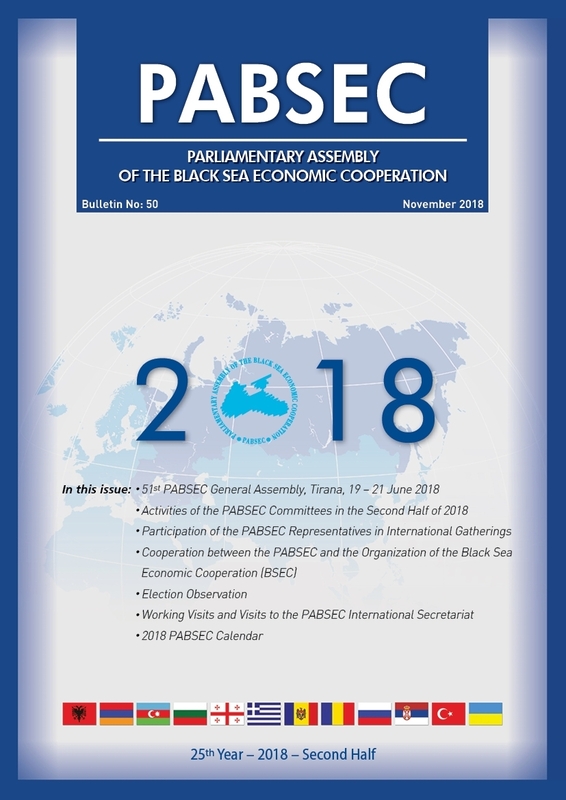 In his speech, the PABSEC Secretary General drew participants’ attention to the environmental challenges in the Black Sea and stressed the necessity for inter-basin cooperation in this area. 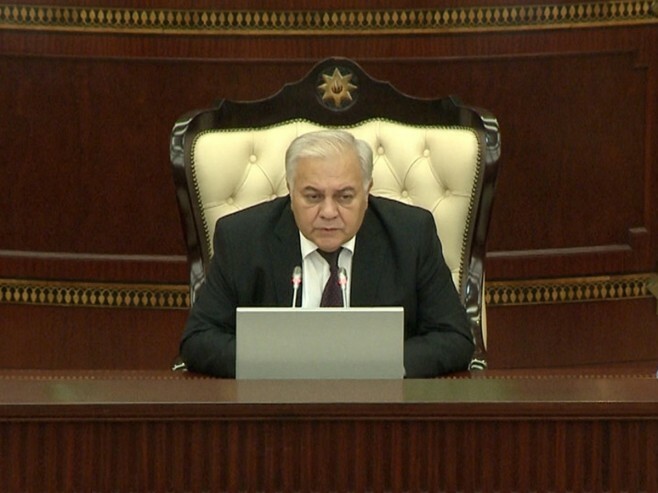 He also noted that the role of the parliaments in strengthening the legislation for achieving the sustainable blue growth and underlined that in the framework of the PABSEC economic committee will be discussed “the Blue Growth and the Green economy”. The PABSEC Secretary General also informed on the results of the recent Joint Meeting between the Standing Committees of the PABSEC and the BSPC on “Safeguarding our Oceans and Marine Life”.